Did Zelda emerge on top? Best Wii Game – Donkey Kong Country Returns. Best Handheld Game – Kid Icarus: Uprising. 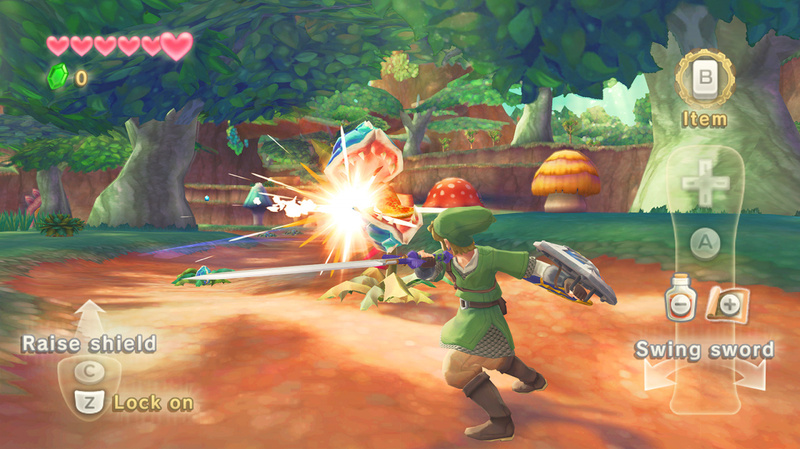 Best Overall Game – Legend of Zelda: Skyward Sword. Now the staff of Nintendo Life have ruminated long into the night, and are finally ready to hand out some virtual trophies. With returns of fan-favourite characters Kirby, Link, Donkey Kong and James Bond, the Wii category was tightly contested. Corbie's First Impressions of Kirby's Epic Yarn and Zelda: Skyward Sword were both hugely positive, so much so that staff couldn't choose between them, awarding the Best Wii Game to both. 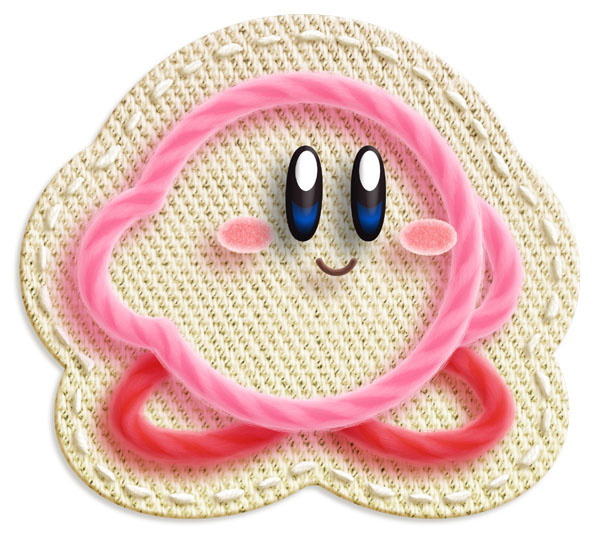 Winners: Kirby's Epic Yarn and The Legend of Zelda: Skyward Sword. The impressive line-up on display for the new 3DS may have diverted a lot of attention from the DS's schedule, but both machines are set to receive fantastic games over the next twelve months. The DS still holds a lot of weight with all the votes swinging to the incumbent handheld: from Golden Sun: Dark Dawn to Ghost Trick and Super Scribblenauts, the machine had a great show but one title stood out in the minds of Nintendo Life staff. With its impeccable development pedigree, storybook visuals and co-operative multiplayer, Square Enix's upcoming RPG Final Fantasy: The 4 Heroes of Light won out as the outstanding handheld game of the show. Read Corbie's First Impressions for more information on why this title should definitely be on your watch list. Despite a certain staffer's protestations that Animal Crossing's 3DS debut deserved this award, this was a hot topic of discussion for days between Nintendo Life staff. Kid Icarus: Uprising showed the 3DS's heightened graphical power off brilliantly; Yuji Naka's Ivy the Kiwi? proved the gaming maestro still has what it takes, and the unveiling of Legend of Zelda: Ocarina of Time for 3DS was the perfect finale. Out of the gaming maelstrom only one could emerge victorious: what was the Nintendo game that most impressed the Nintendo Life writers at E3 this year? We loved the pink puffball's return so much we felt it only right to honour it with the Best Overall Game of E3 2010 Award. From its inventive art style, brand new game mechanics and the inclusion of a woolly UFO, Kirby found his way back into our hearts. Thanks to everyone who took the time to contribute. Well this certainly ain't anything new, I mean wat else was better than Zelda or Kirby? "Best Wii Game – Donkey Kong Country Returns. 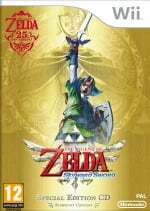 Best Overall Game – Legend of Zelda: Skyward Sword." You do realize that this doesn't make any sense whatsoever, right? If they voted DKCR the best Wii game, then how can another (in their opinion obviously worse) Wii game become the best game overall? @ nintendogamerftw: I know. So what? Im not surprised by this. @KeeperBvK It's customary to disclude the winner of "Best Overall Game" from taking the top spots in anything else. Otherwise it would be common to see that one game hogging all the awards. Doesn't make sense. I FAIL! how can they appreciate a bunch of unplayable tech demos? Final Fantasy over Okamiden, Ghost Trick, and DQIX. I Fail. Kirby looks really cool. I absolutely can't wait for Final Fantasy. I voted everything that won except for Overall, I voted DKCR. No mention of Chocobo Racing. Disappointment registered. Good awards, but personally, Epic Mickey looks much better than any of the nominees or winners. Good choices. I bet if 3DS games weren't just tech demos they would be on the list. The readers choice awards are a bit contradictory, but oh well. Glad Kirby won the Nintendo Life award, that also is what impressed me most. I agree with the Staff's best in show for the most part. The reader's choices, on the otherhand, made me sick. @KeeperBvK Well when you exclude the votes to one console the votes aren't split up as much. But, when you widen the range of votes being split for best game overall, a different game entirely can come out on top when not limited to one specific thing. What?! Not "Just Dance 2"
My pick for Best Handheld is RE: Revelations but to each his own. Donkey kong country returns was what I voted for in both best wii game and best overall game. Did anyone else apart from me vote for professor layton and the unwound flute for best handheld game. @ pokemonzrpg: No it can't. The only games that can be voted to be the best game overall are the winners of each console category. Or that's at least the way it has to be handled to make any sense whatsoever. Nobody does it that way. It's not like they're real awards, just excuses to talk about their favorite games, or in this case, the games they were most impressed with, so people will usually give second best the award in its particular category instead of voting for their favorites twice. Thus allowing them to talk about their favorite and their second favorite. You get it? 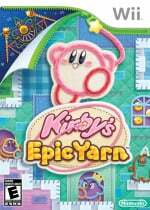 I voted for Kirby's Epic Yarn as Best Wii Game and Best Overall Game so I'm at least happy to see it get the staff award. Donkey Kong Country Returns would have been my second choice. I think that Okamiden or Dragon Quest IX really deserve the Best Handheld award. Kirby is it, of course. Anyone who says otherwise may exit to the right. What games got the least amount of votes in each category? I know that no one will ever read this, but I had to point out why the reader's choices appear to be "contradictory." When you allow readers to choose best Wii game, best handheld, and best overall, it's definitely possible to get 3 different games, even if the best overall game must be the same as one of their other picks. Consider that letters are Wii games, numbers are handheld games, and each column represents different voters. just about everything at E3 made want to jump 1/2 year in the future when all this stuff is out. then scream like a little girl several times while jumping up and down. lol I cant wait for alll this stuff to come out!